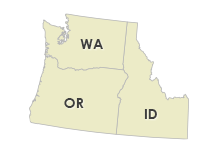 This Factory Home Centers location delivers our finely built Fleetwood Homes to Washington, Oregon, Idaho. Since 1950 Fleetwood has been surprising families with how much home they can afford. Over the years, we have satisfied nearly 1.5 million customers by offering the quality, floor plans, and design options that home buyers expect to find in a custom home.